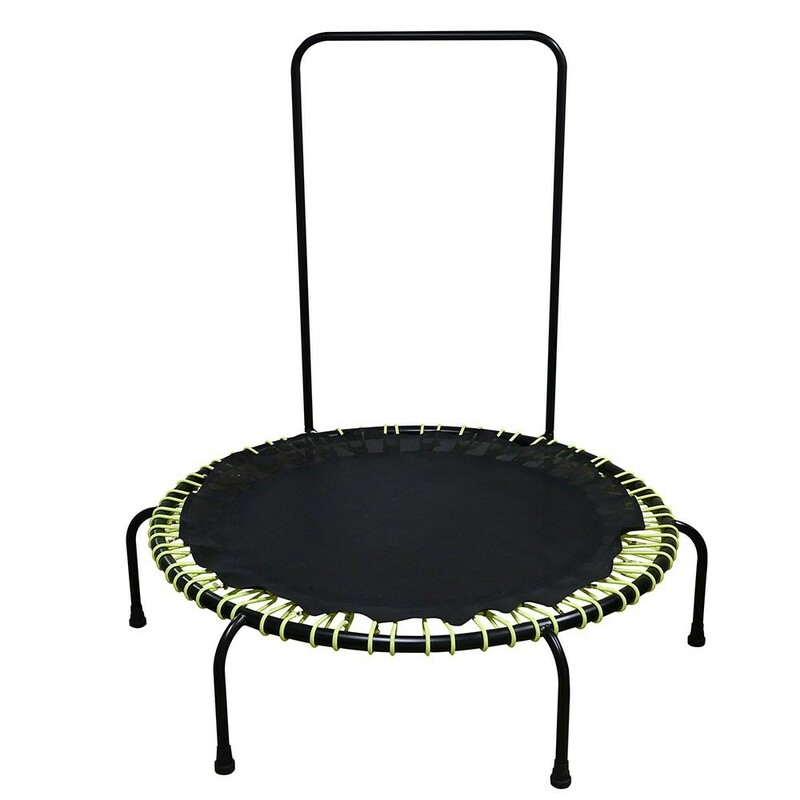 Professional fitness Minimax Pro trampoline. 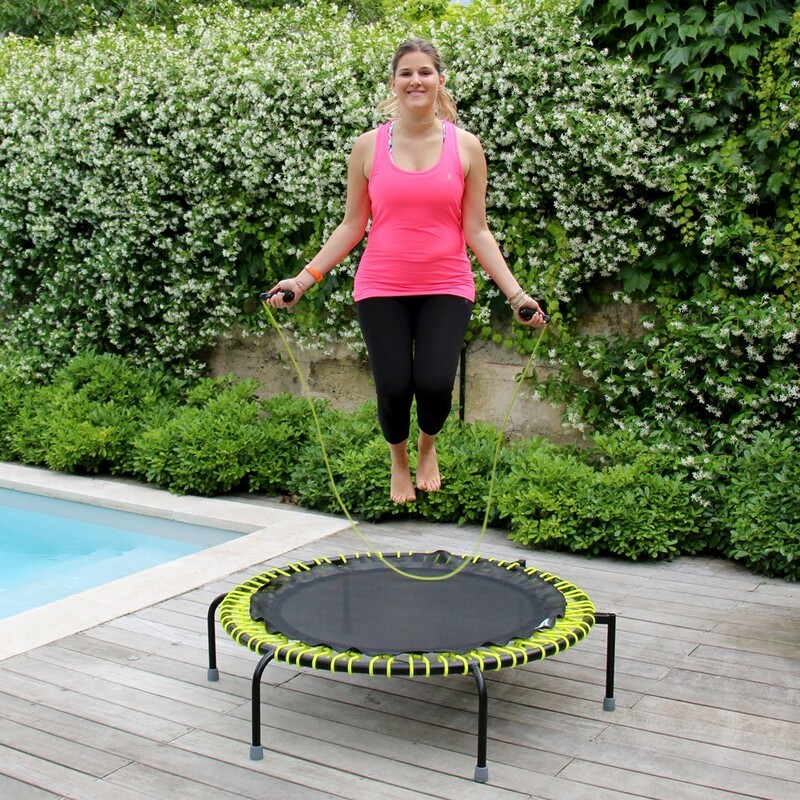 Fitness trampolines for fitness professionals. 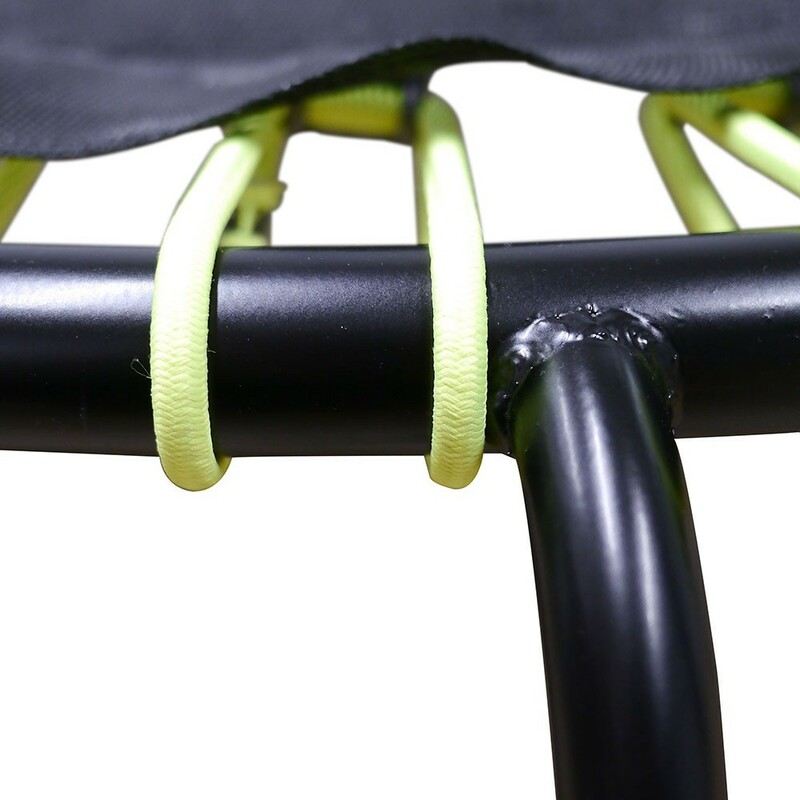 The frame and jumping mat have a 1-year warranty. Questions? Please contact our customer service. You may pay in 3 monthly installments for purchases of 150€ or more. 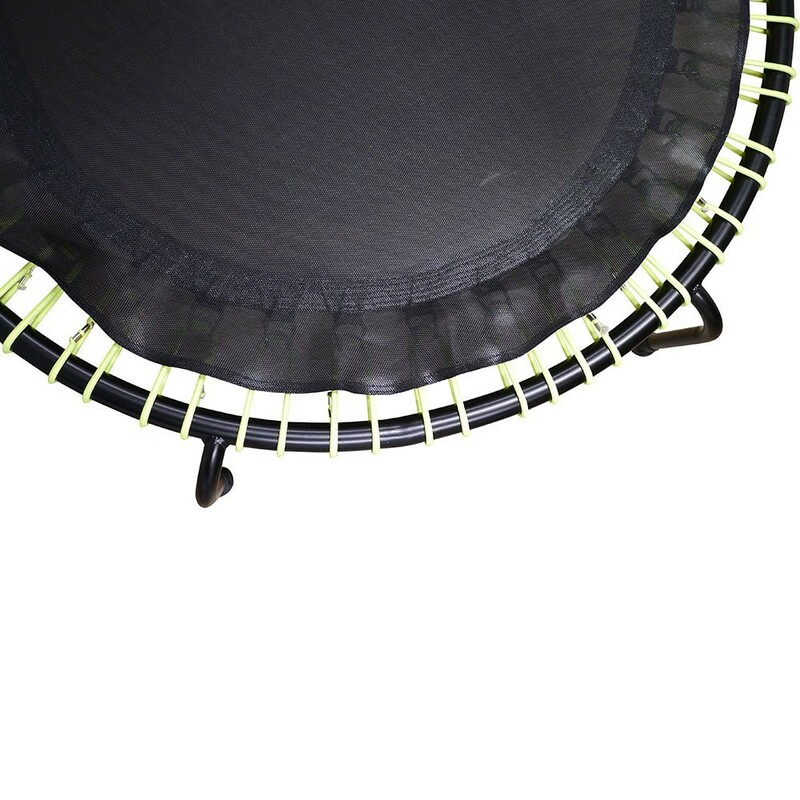 The Minimax Pro fitness trampoline, made in Europe, has been designed for fitness professionals and gyms. 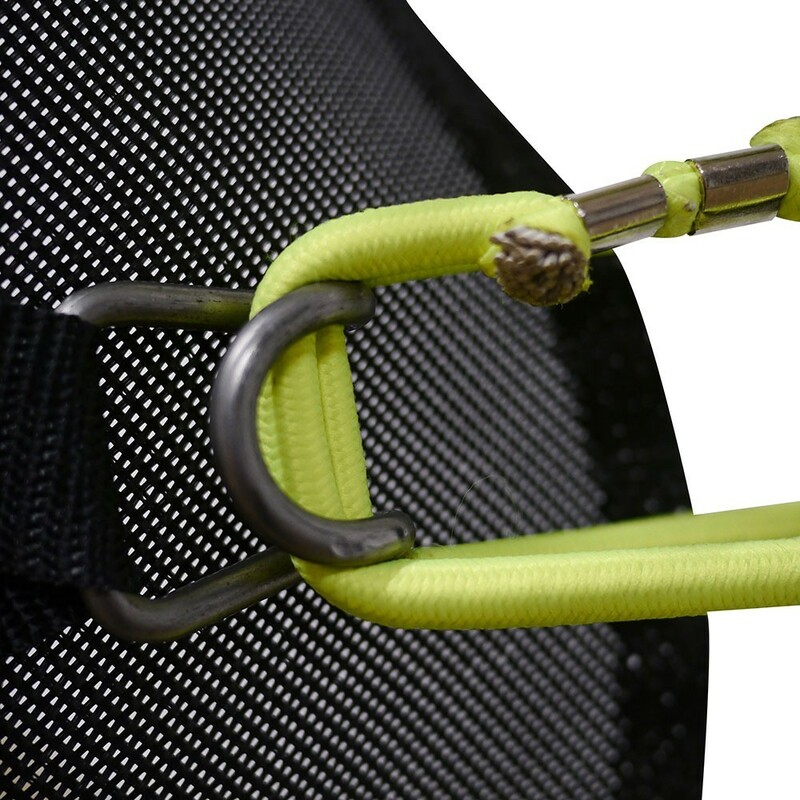 It is very solid and made from quality materials, which combines endurance and performance. -The Minimax Pro has 34 springs of 130 mm, perfect for flexible and dynamic bounces: impact is low and less traumatic for your joints. 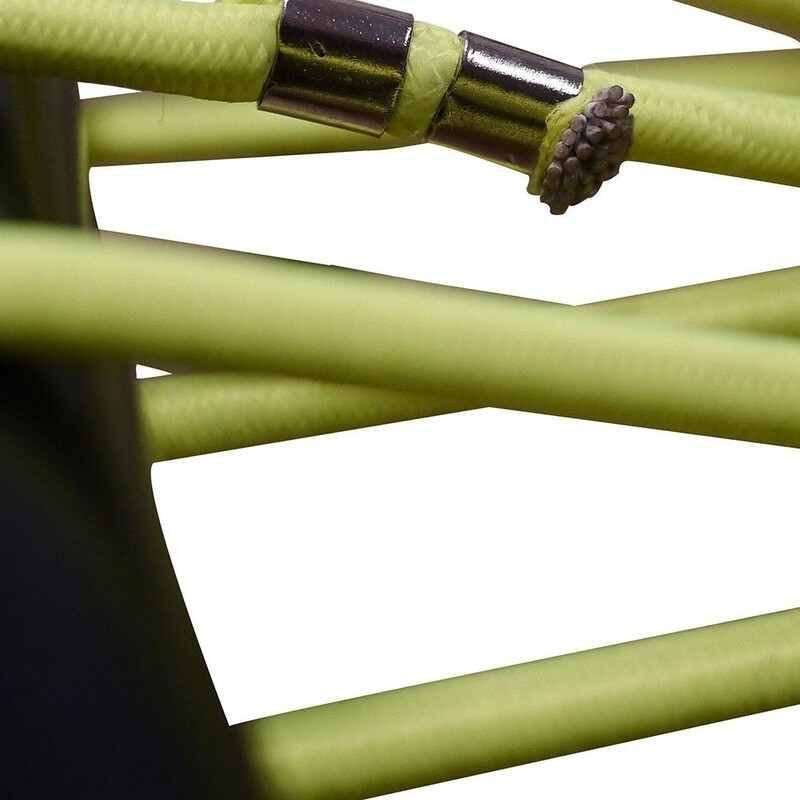 -The frame work is made from thermo-coated steel of 35 mm in diameter and 1.5 mm thickness. 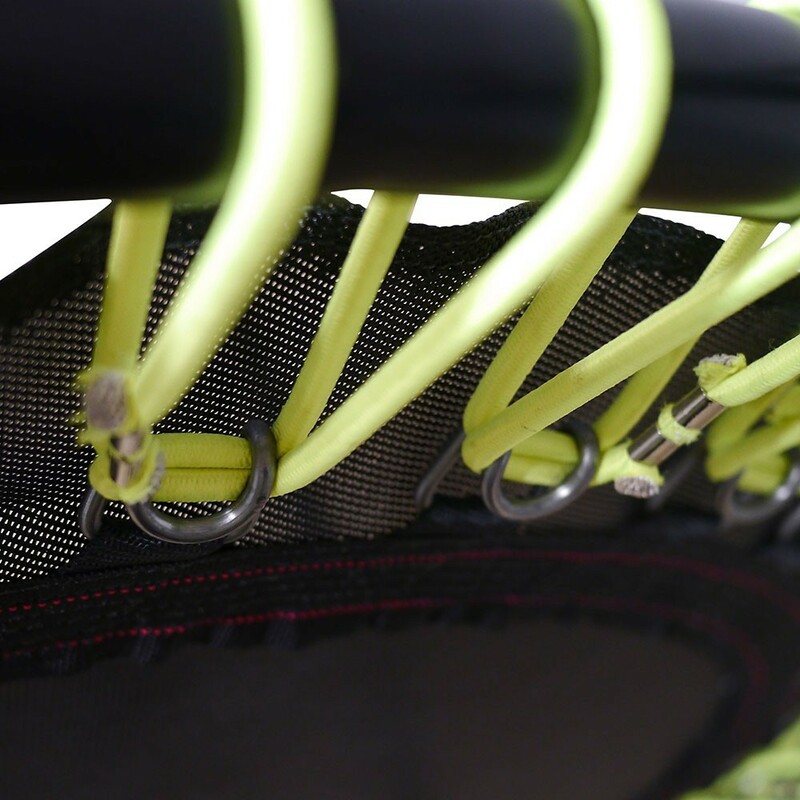 It is designed to be highly resistant: the Minimax Pro is ideal for gyms or fitness clubs. 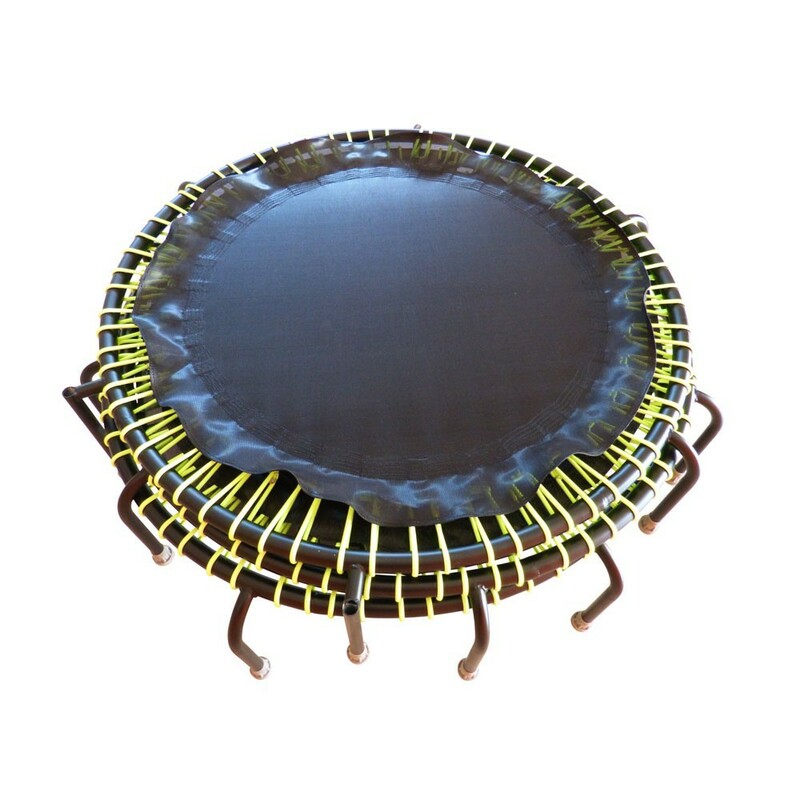 Its jumping pad has a diameter of 87 cm, which leaves a lot of room for movement and exercices. 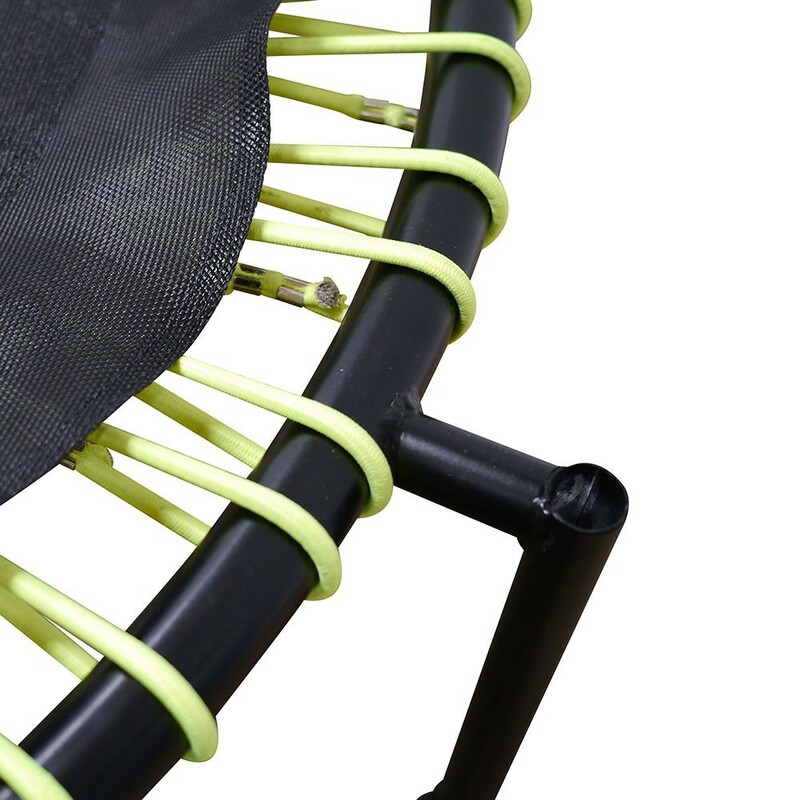 It is made from highly resistant polypropylene and is reinforced with 6 rows of stitches, making it tear-proof. 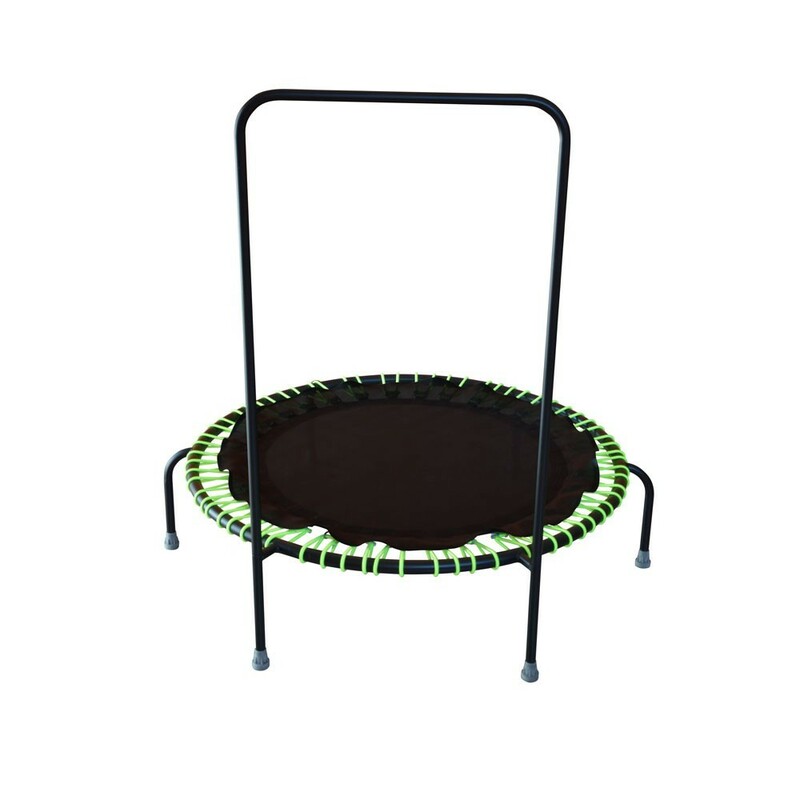 -It is stabilised by 8 anti-slip feet and can withstand up to 60 kg in weight. 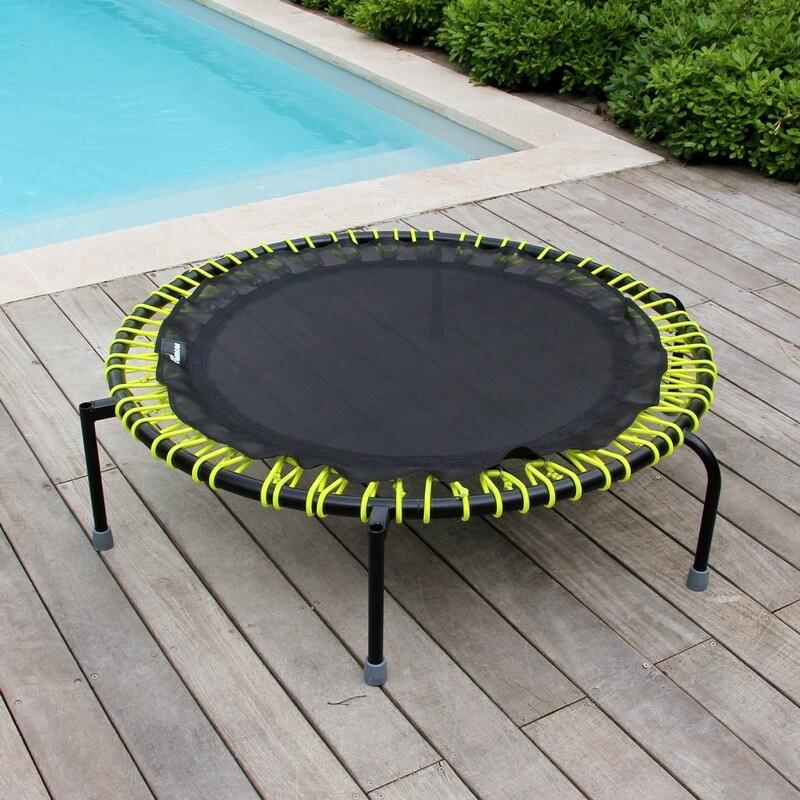 -It has a handrail of 1 m in height, integrated to the trampoline, making it easier to use. The Minimax Pro is adapted to vigorous sports such as Ubound, rebounding or gentler sports such as trampo-Pilates. It can be intensively used for different sports: the Minimax Pro is great value for money. It can also be used by individuals at home who wish to exercice alone or with a personal trainer. Finally, thanks to elastics that allow flexible movements, the Minimax Pro is perfectly adapted to Pilates exercices or to muscle strengthening in the case of physiotherapy. So much more to offer than just a cardio workout! While stimulating blood and lymphatic circulation, lightly jumping on the Minimax Pro tones muscles, loosens up your joints, and improves bone density. The Minimax Pro is the ultimate workout accessory! 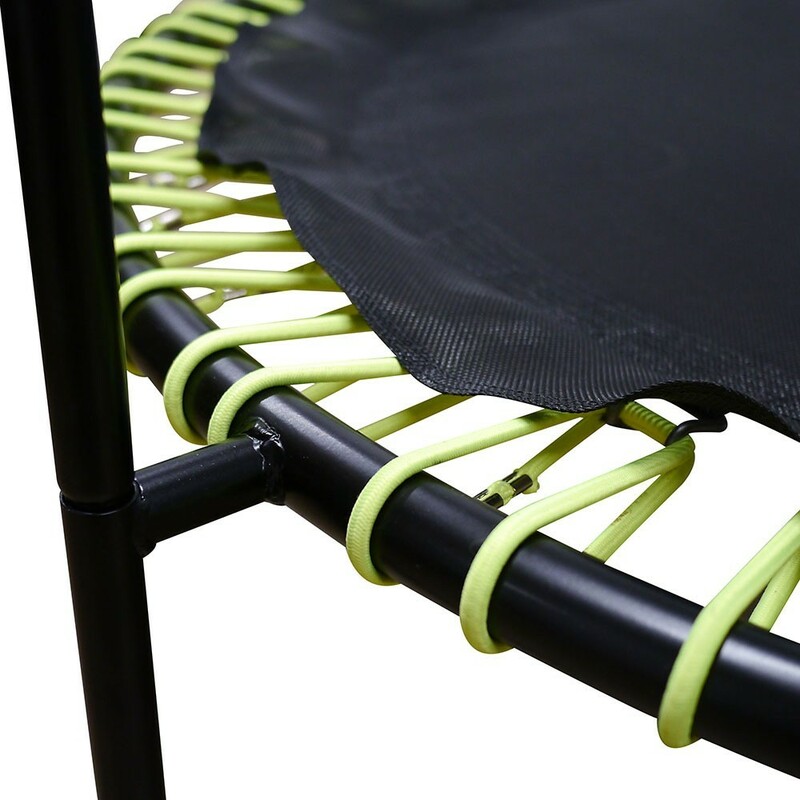 The traditional trampoline springs have been replaced by 8-mm diameter elastic cords for unparalleled comfort and suppleness, thereby protecting bone joints. Ideal for long-term physiotherapy care.